Piano Lessons Monroe: Why Enroll Your Child? The piano is debatably one of the most beautifully sounding instruments on earth, so you can only imagine why we love teaching piano lessons to the children of Monroe so much! 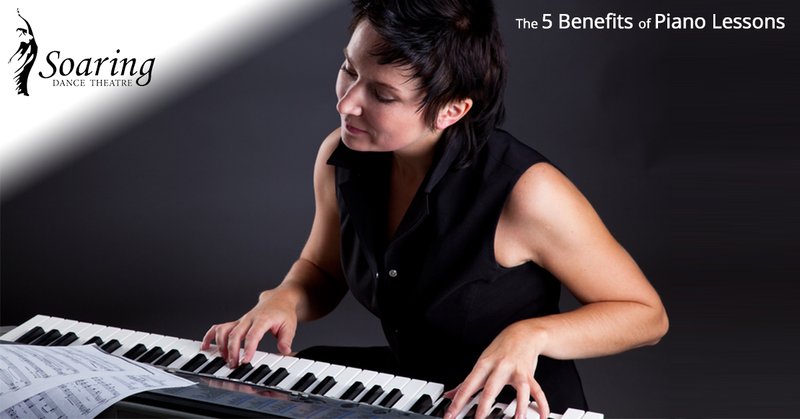 However, beyond just the beautiful sounds of the piano, we know there to be several benefits of enrolling your child in lessons. Read on to learn some of our favorites. Regardless of whether Mozart is your favorite musician or all time or it’s Ray Charles, the piano is a key staple in nurturing a love for music. We firmly believe that there is a music lover in all of us, and it never hurts to develop that love further through a thorough understanding of what makes music sound so pleasant. If your child seems uneasy about learning the piano, make sure to remind them that practicing often and learning the basics will help them learn how to play their favorite songs – even the ones on the radio. Learning to play an instrument proficiently is one of the best ways to show your love for music. Did you know that studying music can actually increase your IQ? Children who take music lessons of some kind perform better in school, have a higher IQ, and show more self-discipline than children who do not take lessons. In adults, music lessons have been shown to change our brain patterns and encourage creativity. You are never too old to begin learning the piano! Learning and perfecting a new skill is a great way to see a boost in self-image and confidence. Of course, it takes many lessons and hours of practice to get good at the piano, but once you or your child reaches that level of mastery, the swell of confidence will be overwhelming. Perseverance increases self-discipline and helps you to feel better about practicing. Many people who study the piano or other instruments include performing as part of this process. Whether you decide to perform in a recital or just at home to friends and family, you will feel like a rock star. This is a great way to grow accustomed to being in the spotlight, which is a skill that can benefit your children for years to come. Playing music can bring you hours of enjoyment for the rest of your life. Why not give it a try? Your child will love having a new challenge. Plus, if they really fall in love with music, this will give them a strong foundation that can set them up for success as they finish their schooling and head into the world of music. If you are ready to challenge your child in a fun, lifelong way, it’s time to call Soaring Dance Theatre in Monroe. We would be happy to teach your child the intricacies of playing the piano, as well as what a music foundation can do to help them through life. Contact us today if you are interested in any of our classes, including dance and acting!